Combine everything in a bowl and set aside for flavours to mingle together. Taste and adjust ingredients to your taste. * Store remainder of the tin in a container in the fridge. The chipotle chilies will keep for months. Place flour, panko and milk in separate shallow dishes. Season panko with cumin, cayenne, salt and pepper. Preheat oven to warm - 250F. Cover a cookie sheet with parchment. Heat olive oil and butter in a large fry pan over medium-high heat. Season fish with a sprinkling of sea salt. 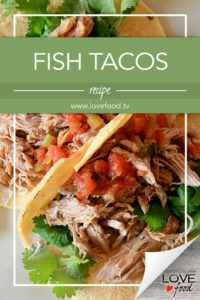 Dredge both sides of fish in flour and shake off any excess. Dip both sides into milk and finish with a coating of panko. Fry fish in hot pan until golden and crispy on both sides and center is no longer translucent. 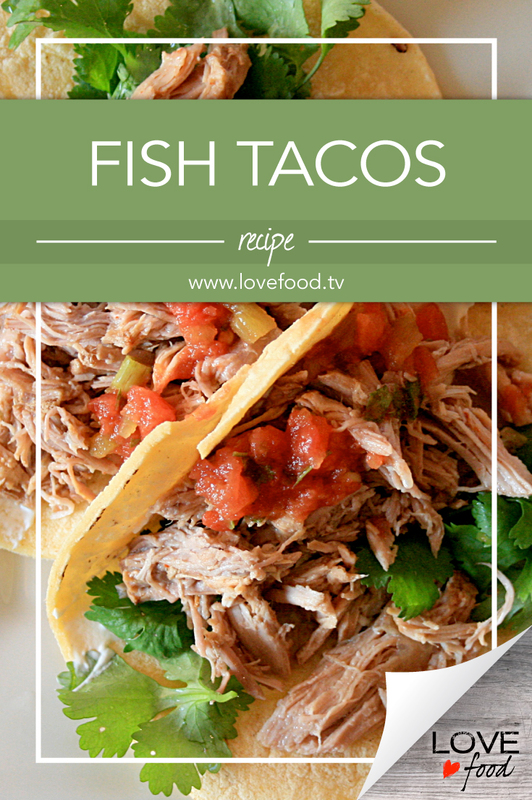 Don’t worry if fish breaks apart; we’re going to cut fish into pieces for the fish tacos. Repeat with remaining fish. Keep cooked fish on cookie sheet in a warm oven until all fish is cooked. To assemble, spread creamy sauce on tortilla. Top with a portion of fish, salsa and finish with purple cabbage.